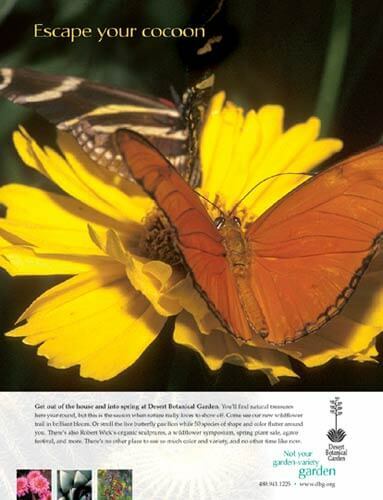 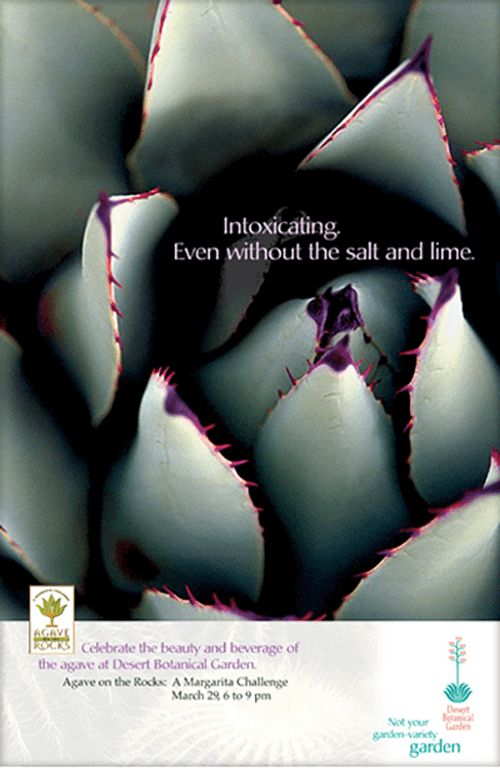 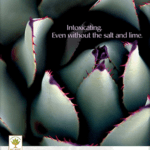 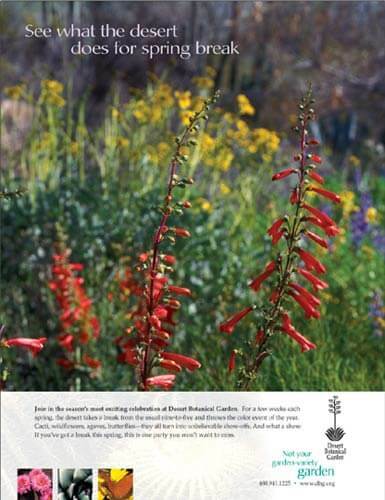 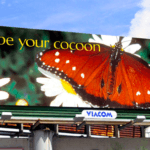 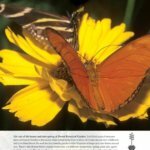 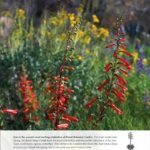 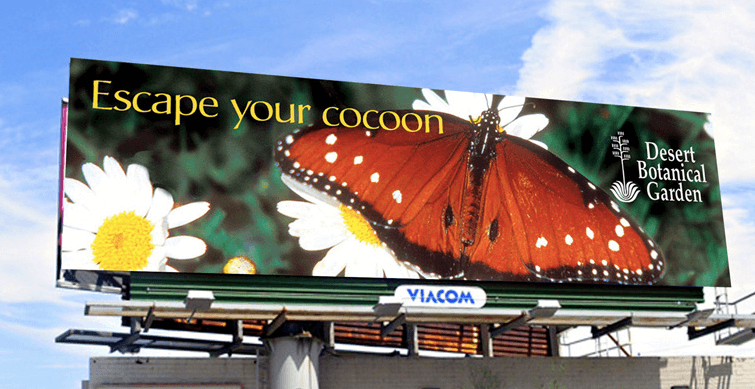 Eight Trails’ founder Ed Tankersley served as creative director for the development of a print and outdoor campaign for Desert Botanical Garden. 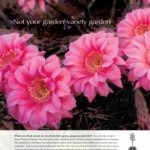 The campaign combined wordplay with vibrant images of the unexpected color and scenic beauty of the garden to dispel the misperception that it was all about cactus. 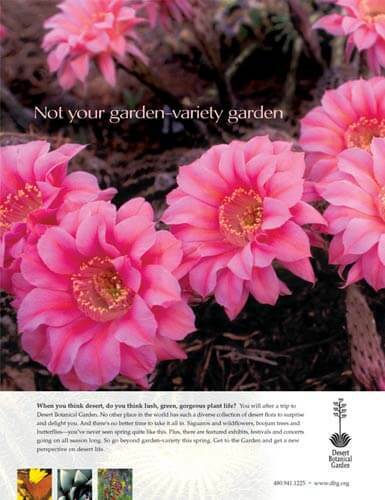 The new tagline — Not Your Garden-Variety Garden — summarized the campaign concept in a succinct and memorable phrase.